Most people are aware that Velozzi is a promising participant in the Progressive Automotive X Prize. The team intends to enter two vehicles, the Velozzi and the Velozzi X1. Both will be plug-in hybrid electric vehicles that can use multiple fuels such as ethanol, bio-diesel, and traditional gasoline. The Velozzi is pictured above, but the X1 is yet to be unveiled. However, they do hint that the X1 will be more of a mainstream, attractive vehicle for the masses. The Velozzi team keeps most of the details of their work private, as they are taking the Automotive X competition very seriously. Recently, they announced Bayer MaterialScience will be joining their already acclaimed team to aid in their long-term goal of mass producing electric vehicles for the international market. The press release is posted below for more details. Los Angeles, March 31, 2009 — Velozzi and Bayer MaterialScience LLC (BMS) are off to the races to deliver commercially viable eco-friendly alternative energy vehicles (AEV) for the global market. The Velozzi team will participate in the Progressive Automotive X Prize, but its main goal is and will be the mass production of the Velozzi vehicles for the international market. The intent of Velozzi is to design, develop, and build an environmentally friendly, affordable, lightweight and efficient plug-in flex fuel hybrid electric crossover vehicle, capable of achieving one hundred miles per gallon or its equivalent and a super hybrid electric vehicle with similar characteristics. Additionally, Velozzi intends to create a new and more efficient, environmentally friendly, way of mass-producing vehicles, using modularity and lightweight materials. 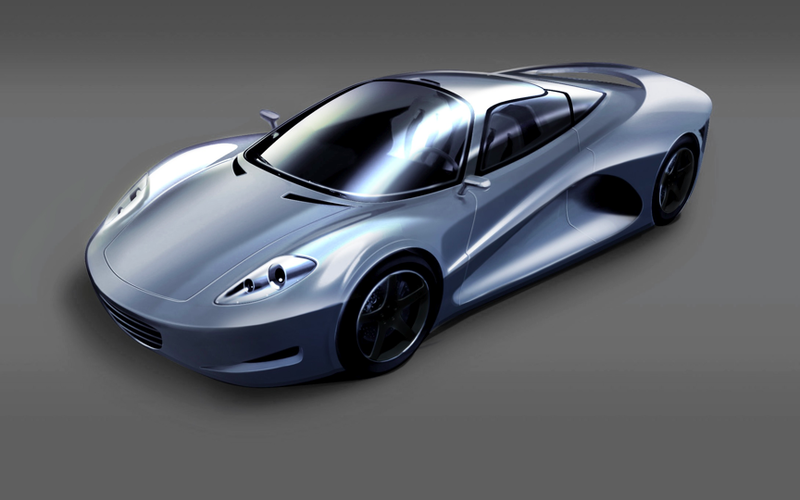 Velozzi has expertise in hybrid systems, automotive design and construction. The Velozzi team has world-class experience in traction controls (SAMINCO), transmissions (Weismann R&D), batteries/hybrid systems (NASA) and now Velozzi intends to use BMS materials for the construction of its vehicles; BMS is the latest addition to an already impressive and talented Velozzi team. BMS is one of the world leaders in material science and, as such, brings to the project extensive know how, materials, and automotive applications engineering experience. “Working with BMS brings us a world of possibilities on the road to consumer acceptance,” said Roberto Velozzi, Velozzi CEO. “With the broad selection of innovative materials and technologies BMS offers, we can produce a vehicle that not only appeals to consumers’ desire for fuel economy, but also their sense of style.” Velozzi added that incorporation of many BMS materials requires only a low initial capital investment, making the move into mass production cost effective. “BMS is committed to the AEV market and has a deep understanding of the role innovative materials play from concept through commercialization,” said David Loren, market lead, PCS, BMS LLC. “We are actively seeking collaborations with suppliers and OEMs, such as Velozzi, to help them navigate through complex AEV challenges such as vehicle weight and manufacturability,” Loren added. Velozzi, based in Los Angeles, California, is a company comprised of world-class scientists, engineers, car builders, and designers dedicated to develop environmental transportation technology to address issues concerning climate change, the dependency on volatile foreign oil prices/supply, and the inefficient way vehicles are being manufactured today. Velozzi is dedicated to designing, manufacturing & marketing environmentally friendly vehicles that can be powerful, beautiful and practical. Velozzi is the culmination of decades of R&D into the latest technological advancements tied to a ground-up approach ensuring delivery on a worldwide scale. For more information about BMS materials, call 1-800-662-2927, e-mail naftainfo@bayerbms.com or visit www.bayermaterialsciencenafta.com. For more information about Velozzi, visit www.velozzi.org or e-mail velozzi@velozzi.org.